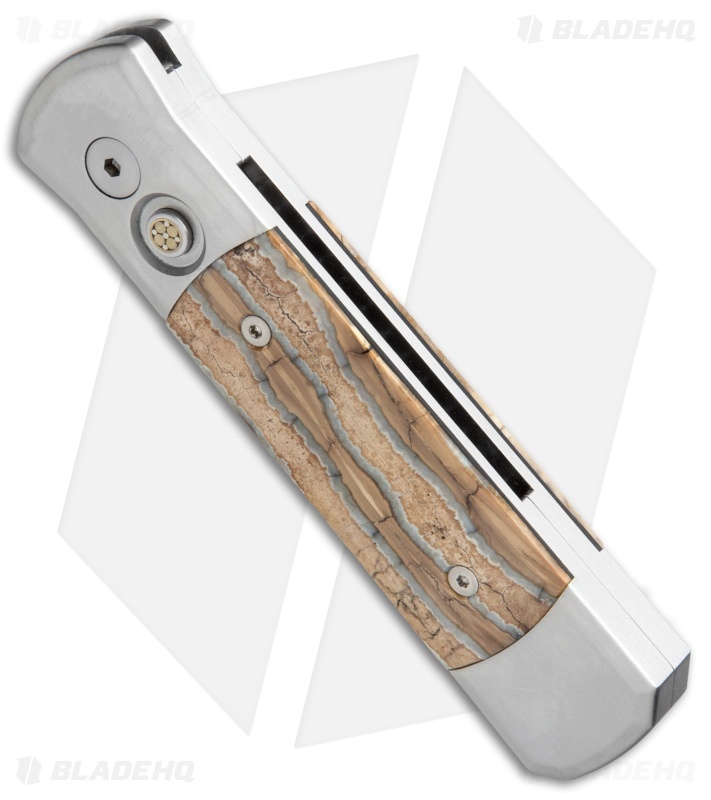 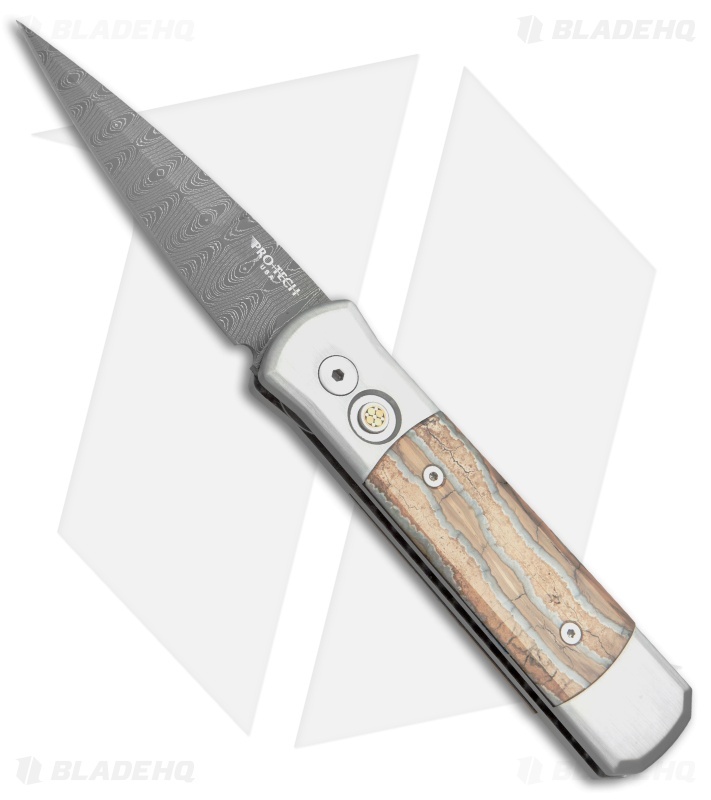 This gorgeous custom Protech knife features a unique Chad Nichols stainless Damascus blade with 416 stainless steel handles that have a hand satin finish. 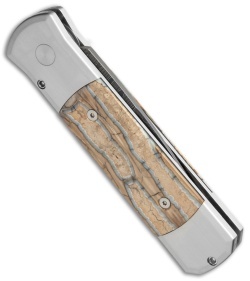 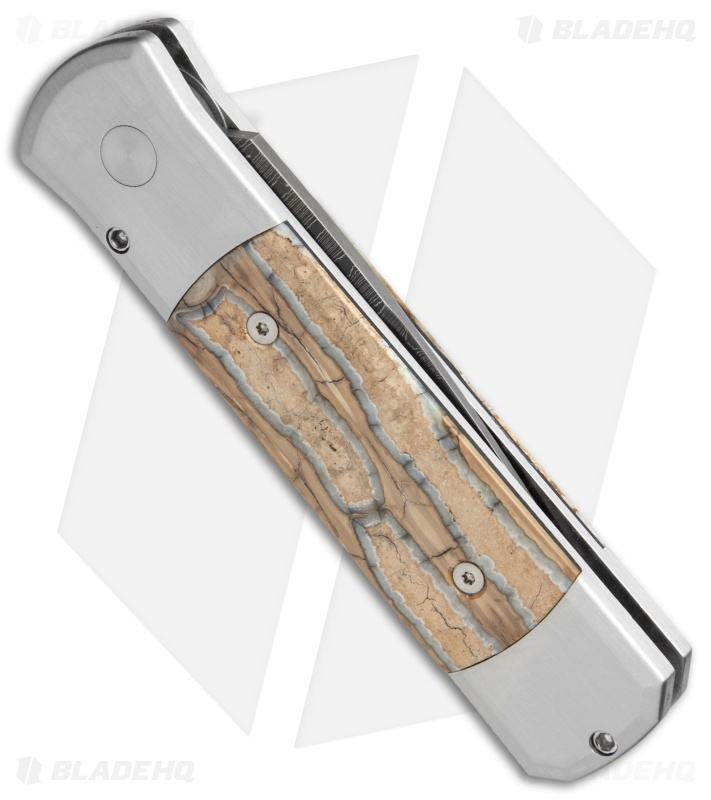 Beautiful Mastodon Tooth inlays on both sides of the handle add to the collectible appearance. A mosaic firing button finishes off the outstanding design.